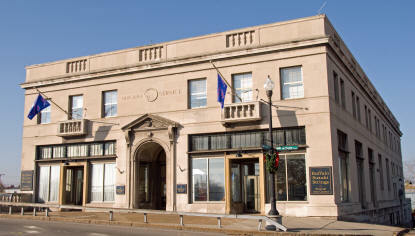 The Buffalo Suzuki Strings Musical Arts Center, situated in Niagara County within the historic business district of North Tonawanda, was acquired in 2001 due to the generous support of the Paul F. and Margaret M. Wutz Foundation. The BSS Musical Arts Center is located on the banks of the Erie Barge Canal at the Webster Street Bridge across from Gateway Harbor Park. The facility provides a conservatory-like atmosphere for our vibrant community of parents, teachers and students. The street level features the 300 seat Wutz Concert Hall, which was dedicated on October 19, 2003 and our beautifully renovated Community Room. The excellent acoustics of the recital hall are enhanced by the high ceiling and rectangular shape of the old bank space. In addition to the contemporary platform stage, our meticulous renovations have restored the ceiling frieze to its original bronze color and have faithfully reproduce the suspended lighting fixtures and Corinthian columns. 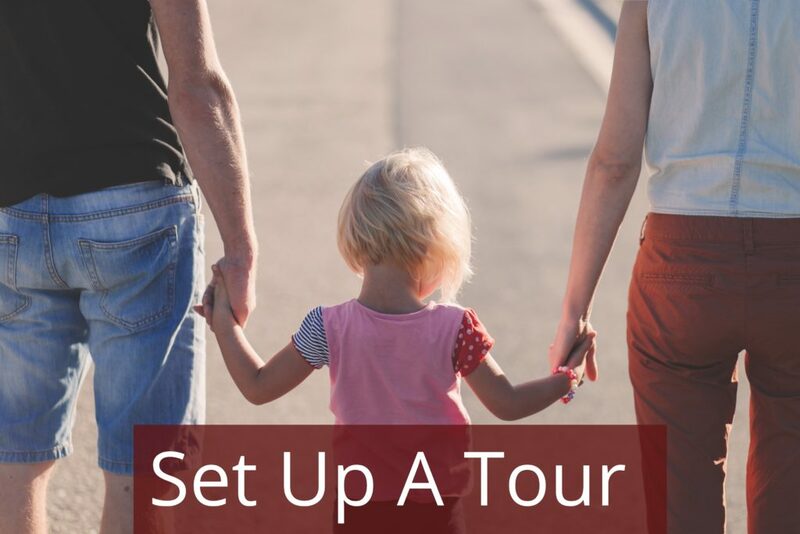 The second floor houses the Buffalo Suzuki Strings business office and many of our 14 private teaching studios as well as a spacious family lounge. Several of th private music studios, all of which retain the beautiful walnut woodwork original to the building, have been completely renovated and sound-proofed. Buffalo Suzuki Strings continues to pursue its Building Renovation projects. Designed by E. B. Green in 1928, the BSS Musical Arts Center is a two story, 33,000 square foot limestone and marble structure. The building is historically significant for the use of electrical arc welding in its construction and for Green’s innovative use of commercial office space. The massive structure was originally constructed to headquarter the Tonawanda Power Company (later Niagara Mohawk) and the State Trust Company Bank (later Marine Midland and HSBC). The Niagara Service Building, as it was formally called, was opened with great fanfare on March 2, 1929. Generally known as the Power Building, it replaced a frame building built for Matthew Scanlon at the north end of the bridge known at the time as the “Long bridge”. Matthew Scanlon was a prestigious North Tonawanda businessman and New York State Senator. The original three story frame building housed Scanlon Hall on the top floor, the Seamen’s Hotel on the second floor, as well as a saloon. The Seaman’s Hotel offered room and board to sailors passing through on Great Lakes vessels. The “Long bridge” was hit by canal barges during a March 1916 flood and rebuilt. The new bridge was named the Bascule Bridge.